Tell members of the CHC: Stand up for Latinos — fight the TPP! The Trans-Pacific Partnership (TPP) is a proposed trade deal that will make buckets of money for corporate behemoths while wreaking havoc on the Latino community. A handful of Latino legislators including Reps. Raúl Grijalva and Loretta Sanchez are standing up for us by fighting the TPP. 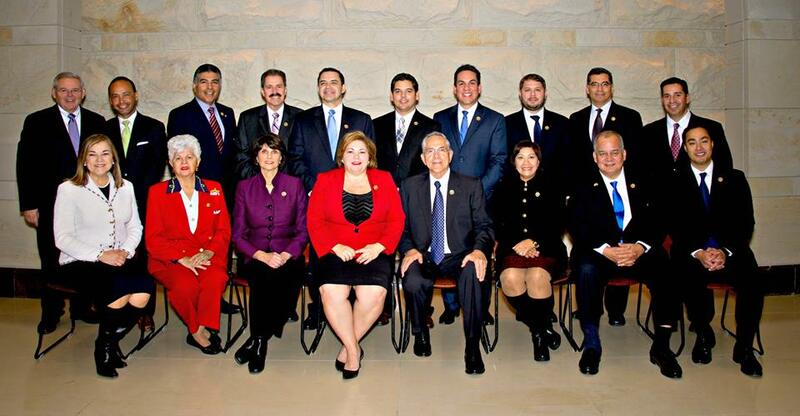 But far too many members of the Congressional Hispanic Caucus have failed to take a stand for our community. With important votes that will determine the fate of the TPP expected in the next few weeks, it is past time for our elected leaders in Washington, DC, to speak out. Tell members of the CHC: Stand up for Latinos — fight the TPP. And the TPP will create economic devastation in Mexico and parts of South America by destroying the ability of campesinos to make a living while simultaneously offshoring the jobs of maquila workers to even lower-wage countries like Vietnam. Robbing millions of their livelihood will result in a new wave of economic migrants surging into our inadequate and inhumane immigration system. But Rep. Luis Gutiérrez, one of the most outspoken champions of immigration reform in the House, has remained passive in the face of a proposed trade deal that will surely make our immigrations system, and the plight of those trapped within in it, worse. And last week, when eight U.S. senators went to the floor of the Senate to speak about the dangers of the proposed Trans-Pacific Partnership (TPP), the only senator in the Congressional Hispanic Caucus — Sen. Robert Menendez — was not among them. Rep. Gutiérrez and Sen. Menendez are just two examples of the disappointing and dangerous silence we see from Latino legislators in DC. We have a right to expect that our elected leaders will fight bad trade deals that undermine our community. And we need to speak out now to make sure they stand with us, not with wealthy corporations, when it comes time to a vote. P.S. Will you donate $5 to support our work? We rely on contributions from people like you to see campaigns like this through.